Only 23 per cent of Singapore consumers believe that their personal data will be treated in a trustworthy manner by organisations offering digital services, according to a new study out today. The lack of trust here, lower than the average of 31 per cent for Asia-Pacific, is a sobering reminder of the importance of privacy as Singapore pushes ahead with its ambitions to be a world-leading smart nation. Sponsored by Microsoft, the study by research firm IDC involved more than 6,000 consumers in 14 markets in the region, who gave their views in December 2018. Besides Singapore, markets such as Hong Kong, Australia, Indonesia and Vietnam also participated in the survey. The fact that trust is so low in Singapore will come across as a wake-up call for both government agencies and companies to not take users’ trust for granted. In July last year, the country faced its largest data breach when it emerged that 1.5 million people had their information stolen from the SingHealth healthcare group. In January this year, news came that 14,200 HIV patients had their personal details exposed. In the same month, 800,000 blood donors may have had their personal data stolen. These incidents have led the prime minister, Lee Hsien Loong, to call for a review of the government’s data security policies to uphold public confidence. 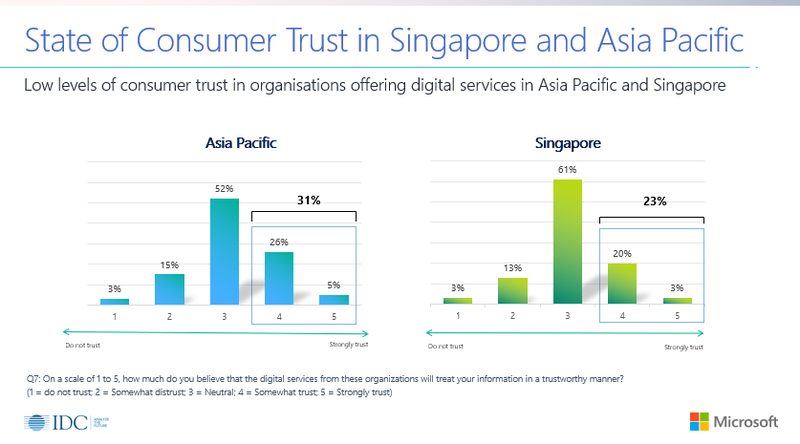 The Microsoft study found that security, privacy and reliability were the top three most important elements for trust for Singapore consumers. They also have the highest expectations of trust from organisations in the financial services sector, followed by the government and healthcare sectors. Richard Koh, the chief technology officer for Microsoft Singapore, called for a more active approach to understanding consumers and winning their trust. “While we have observed an increasing reliance on digital services by Singapore consumers in the way they live, work and play, there is still a considerable trust gap that needs to be addressed,” he said. Consumers will take action if they have a negative trust experience, according to the study. 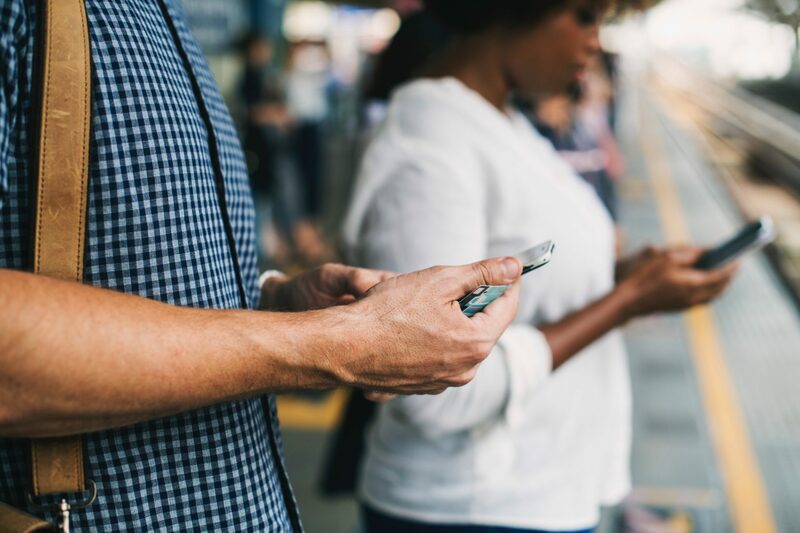 Half of the Singapore respondents would either switch to another organisation, reduce the usage (43 per cent) of the digital service or stop using (38 per cent) the digital service altogether. Trust will be a key differentiator in a future where people interact through digital services, said Simon Piff, vice president of security practice at IDC Asia/Pacific. “As competition between digital services becomes more intense and global in nature, advocacy through word of mouth can be a strong differentiator for the organisation and a shot in the arm for the brand,” he added.